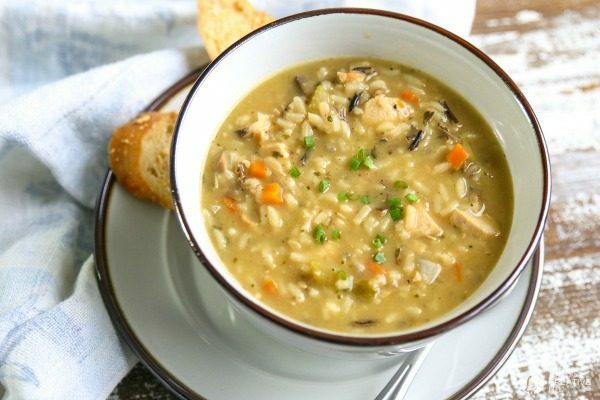 I’ve been making this Chicken and Wild Rice Soup recipe for a few years now. 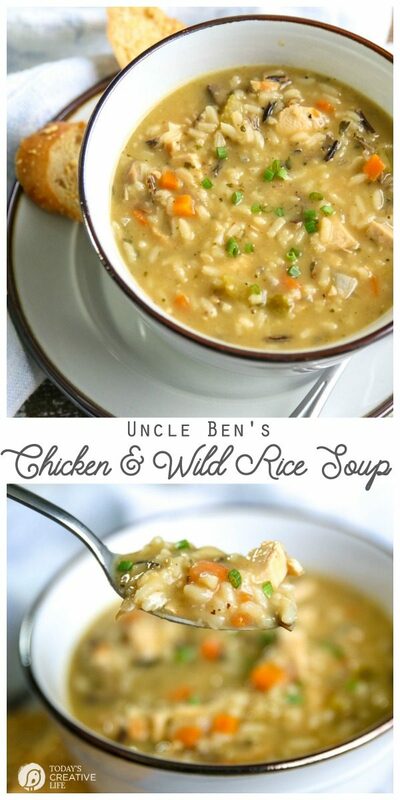 Using Uncle Ben’s Wild Rice as your starter gives you a quick recipe with a homemade taste. It’s perfect for those cold rainy days we have here in the PNW when you can’t seem to warm up. I can’t remember where I got the recipe, but it’s so simple! 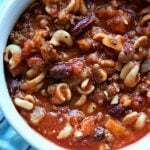 I love an easy and tasty recipe that’s also fast! 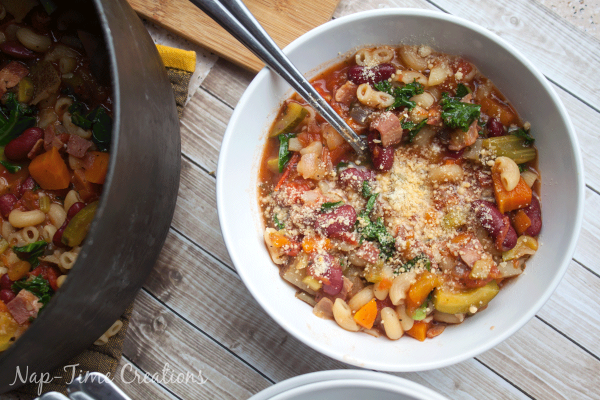 This soup allows me to get a healthy dinner on the table when I’m pressed for time. Add a salad and a whole wheat roll and these cookies for dessert and you’re a rock star! My Bacon Avocado corn bread goes pretty good with this too. You may be surprised that this recipe starts with a box of Uncle Ben’s Wild Rice. 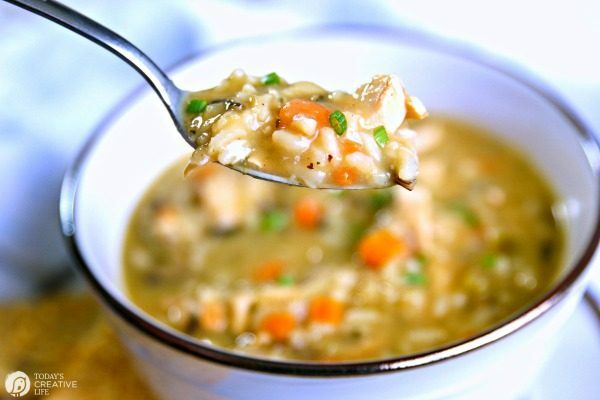 It saves time and takes the guesswork out for the perfectly seasoned soup. 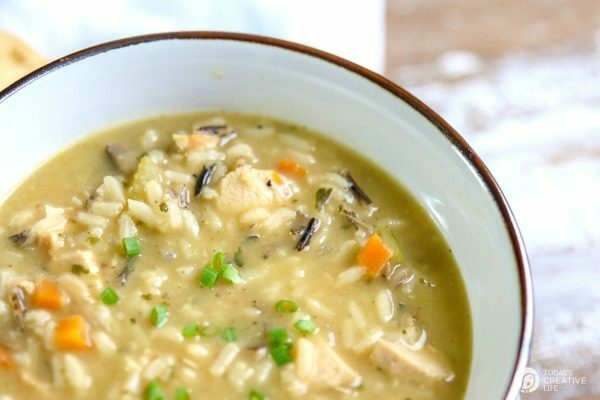 Sure you could just use wild rice from a bag, but this recipe makes it easy by using the seasoning packet from the box. I suppose you could also season it yourself too and omit the Uncle Ben’s all together. It would still be a quick meal. But if you’re a busy parent, just trying to feed your family quickly with a home cooked meal, this is your recipe. Try this Dill Pickle Soup recipe for another quick idea. Add only the rice from the Uncle Ben's box to the sauteed veggies. continue to saute for another 3 minutes or so. Add chicken and 2 tablespoons of the Uncle Ben's seasoning packet. Variations: You can add any veggies you'd like or just more of what you're already using. 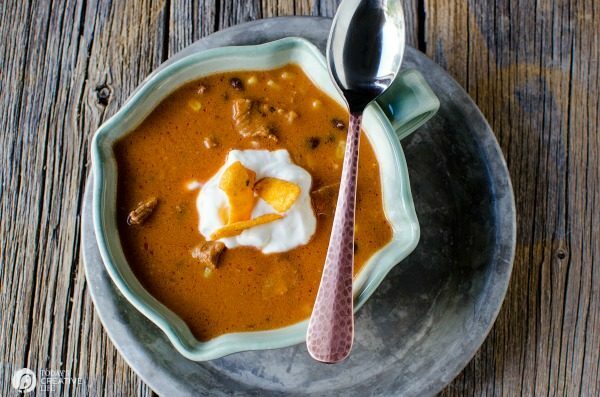 The beauty of this soup recipe is being able to add any type of vegetable you’d like. 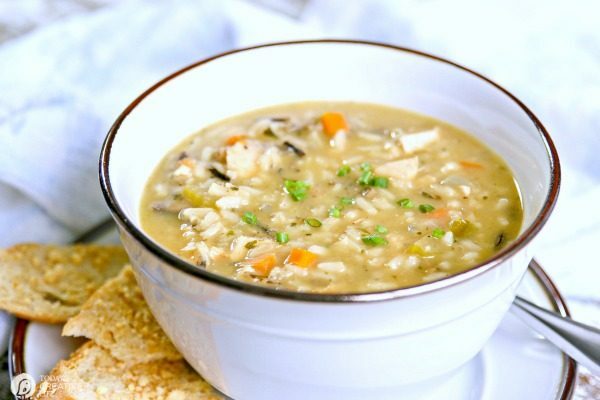 I love using mushrooms and broccoli in this chicken and wild rice soup too. It’s a great “COTIN” Clean out the Icebox Night soup. Looks yummy! 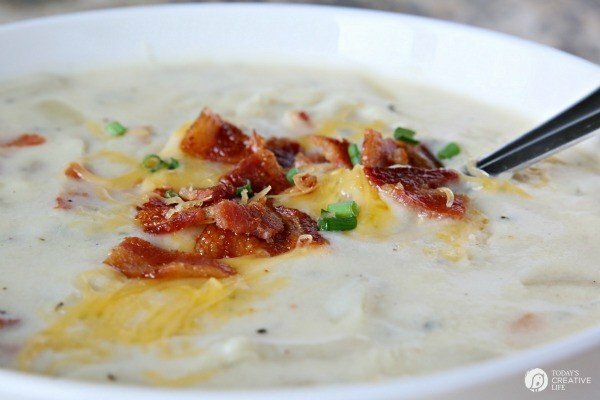 Perfect for National Soup Month too! I made this soup yesterday as we are all down with a bad cold. I was worrie it would be salty but it wasn’t at all! I increased the broth & veggies and we all loved it! Thanks for sharing!! !